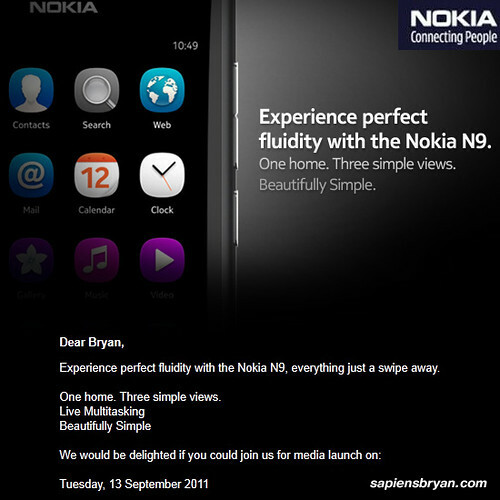 I received an invitation to the media launch of the most anticipated first MeeGo phone from Nokia, Nokia N9. The media launch date is 13th September 2011, therefore I think the official launch date in Malaysia won’t be too far away. If you are interested in Nokia N9 and want to know more about this latest smartphone running MeeGo 1.2 Harmattan OS, check out my special preview of Nokia N9 post.